When the category 4 Hurricane Harvey landed in Houston, Texas on August 25th catastrophic inland flooding displaced thousands of families from their homes. The Federal Emergency Management Agency (FEMA) director Brock Long considered Harvey the worst disaster in Texas history. It started as a tropical wave to the east of the Lesser Antilles and became a tropical storm on the 17th of August. It began to weaken due to moderate wind shear and degenerated into a tropical wave north of Colombia 2 days later. As it continued to moved west-northwestward, it redeveloped and rapidly intensified on the 24th, which then lead to the devastation that hit the Greater Houston. Now, why did it become so destructive? Approximately 24.5 trillion gallons of rain has poured down. 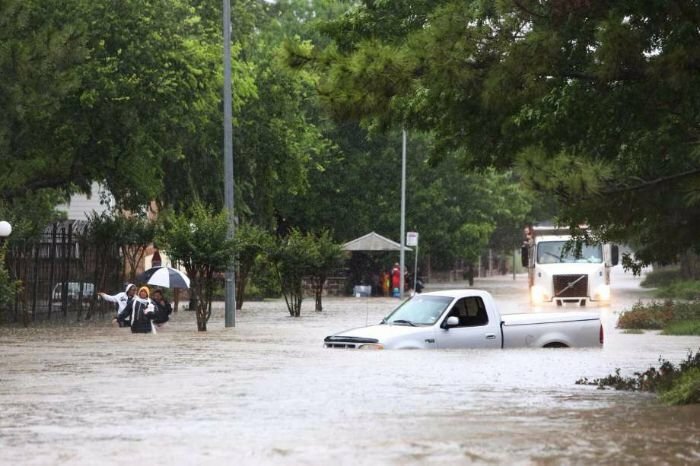 Meteorologist Ryan Maue of WeatherBell (a private forecasting firm) said, “At least 19 trillion gallons of water has fallen on Texas since the storm began.” In Harris County alone rainwater was at 1.2 trillion gallons. Its neighbor, Louisiana, had about 5.5 trillion gallons of rain, for a total of 24.5 trillion gallons in those two states. In addition, the National Oceanic and Atmospheric Administration reported that Cedar Bayou, Texas has received a shocking 51.88 inches of rain. This marks a new record for the most rainfall of any tropical storm or hurricane in the lower 48 states. The National Weather Service said the flooding will likely be the largest economic crisis natural disaster in the US. Moreover, it is considered a 1-in-1,000 year rain event which means at any given year, there is a 0.1 percent chance of it happening again. Hurricane Harvey brought about a year’s worth of rainfall or more, in a time span of just 5 days. As of today, about 3,500 people have been rescued as Harvey’s rains flood Houston and the surrounding areas. San Antonio is taking in a large number of evacuees. At a time like this, affected families need help more than ever. If you are wondering how you may be able to help out, please check out these charity institutions. Catholic Charities of USA – CCUSA is the official domestic relief agency of the U.S. Catholic Church. Visit their official website or text 71777 to make a donation. Salvation Army – The Salvation Army stays in communities impacted by Harvey, supporting long-term disaster recovery efforts and providing ongoing assistance to those in need. To make a financial donation call 1.800.SAL ARMY, or text STORM to 51555. Or if you are already in contact with your favorite charity, don’t waste time and send in your donations. Surrounding cities like San Antonio welcome refugees in need of assistance. Help restore Texas!